We will be posting here any tips or tricks we find may be helpful to users of the Spot On. We'd also like to share your tips as well so send them on to us! 1. Why are my waypoints adding their own turn time? Answer: They are not. They are only adjusting the default turn time of .5 seconds to accommodate whatever travel time you have set. The default turn time is .5 so if you set a travel time less than that, say .2, the waypoint's turn time will automatically adjust itself and give you a message that it is doing that. It is not an error message, it's just information. Turn time cannot exceed travel time. 2. Does turn time add to or delete from the total time for the route? Answer: No. Turn time is only the speed of which a dancer turns to FACE the next waypoint. It has nothing to do with the amount of time traveled / sleeptimes. 3, Do i have to set a turn time? Answer: No, it will always use the default turn time of .5 seconds unless you change it or set the travel time below that. 4. How do i convert 1.x mover notecards to 2.0? Answer: You can do this easily with the Translation Tool provided in your folder. See "Updating 1.x Notecards to 2.0 - Translation Tool" at the bottom of the Notecards page. ​5. Can I attach an animated object to a mover? In most cases, no. 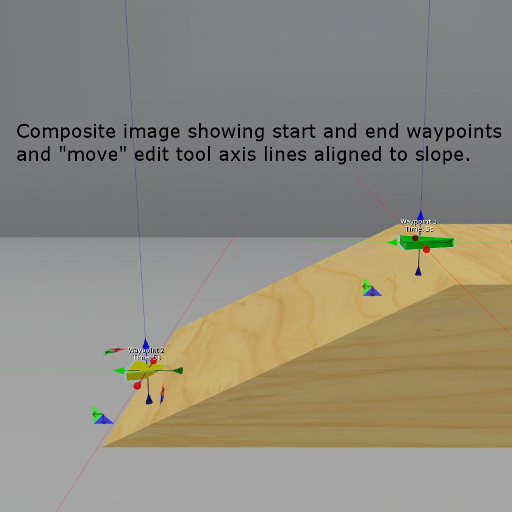 When linking any object to a Choreography Mover, the mover must be the root prim. Animated object scripts are based on a root prim. 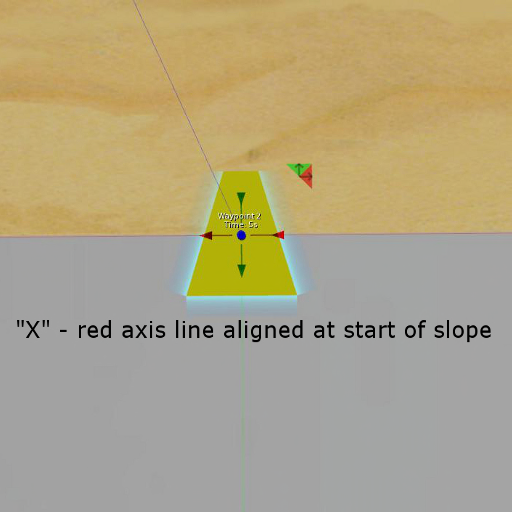 Changing that root prim when linking to mover then breaks the animated object. 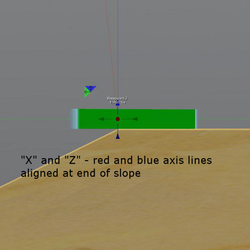 Unless you have edit rights to that animation script and are able to change the root prim, it will not work. You can of course create your own script for an object animation and make the Mover the root prim. This should work but not guaranteed. 6. Can i use choreography system and group formation system Movers at the same time? Absolutely! Just don't give the Choreo movers the same dancer numbers as the Group Formation System dancer numbers. For example, you have a lead dancer on Choreo movers and four backup dancers on Group movers. The backup dancers will be Dancers 1, 2, 3 and 4 and the lead dancer would be Dancer 5. 7. Can i loop a route with version 2.0? Even though the @loop configuration parameter is no longer used, you can still loop a route by simply copying the waypoints in the notecard and pasting them in directly below. 8. I keep getting an error "Delta times must be >0.1s". What does this mean? It could mean that there is something in your mover notecard that the script can't read - like you forgot to remove the excess text between segments when copying and pasting from chat. It could also be that you have two waypoints very close together with too long a travel time between them, OR two waypoints too far apart and with too short a travel time between them. It sometimes happens that a Mover gets accidentally moved or rotated from the start position (center of the Designer ring). In order for the route to be correct as designed, the Mover must be in the exact position and rotation as the Designer ring at start. Fortunately, we have a tool in the SL Edit menu that makes this easy. For more, watch the video TIPS & TRICKS: Create a Dance Route Like a Boss! 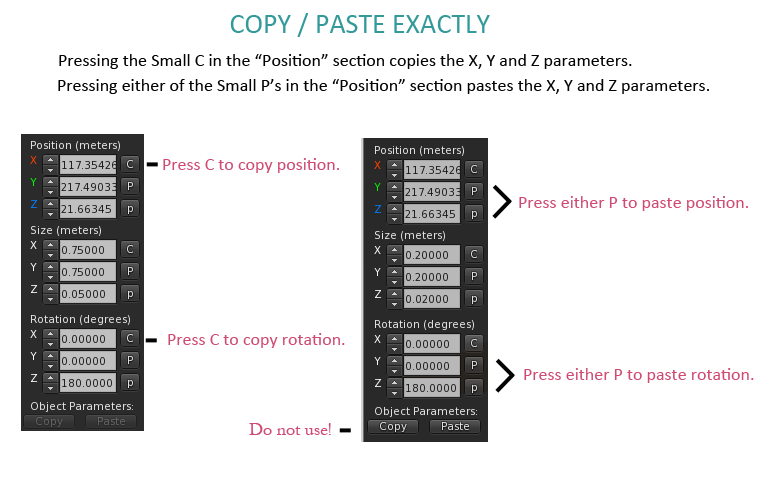 Using the SL Edit tools, copy and paste exact "Position" and "Rotation" from one object to another. 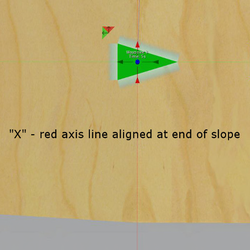 When using the Designer to layout symmetrical routes for multiple dancers when the dancers on the left of the stage will be doing a route that is the "mirror" of the dancers on the right of the stage, you can use the Mirror feature of the designer. Set out your route for the dancer on one side of the stage, input your Times and SleepTimes as required. Then once you are happy with the finished route select the entire Designer Ring linkset and arrows and do a SHIFT+DRAG towards the direction where you will want the other dancer to be. The Times and Sleeptimes from your original are also copied over to the new one. Click the copy of the designer that you have just dragged over and select the Mirror button on the menu, you will see the Waypoints for this designer move and reposition themselves horizontally opposite of the original, you can then position this mirrored set more accurately and are then ready to rez movers and generate your notecard data on both, in half the time that it took previously! If you wanted to include a sit in your dance sequnece, for instance if your dancer starts sitting but then gets up to dance. To get the position of the mover in the right place for the sit, layout your design route in its entirety and generate the notecard text, place the text into the Mover notecard as usual. Then run the route but use the manual pause on the hud to hold the Mover at the Waypoint where you wish the sit pose to be used. Once paused find the sit in your inventory and manually play it inworld, even if the sit animation is the same priority as the stand in the Mover it will overide the stand. Then edit the Mover's position (use ctrl+alt+t to see the mover) to the correct position for your sit. 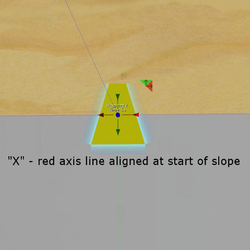 Once you are happy with this position copy the Mover's position in the edit "objects" tab of the edit window (see Tip above), paste this position to the corresponding waypoint in the design route. Then regenerate the text for the Mover using the Design ring, paste this into your Mover and the sit will be placed correctly. If in rare cases your sit animation is lower priority than the stand in the Mover, simply delete the stand in the Mover and replace it with your sit animation for the design stage. You should use either the Stage Marker or the Stage Manager and have whichever one you are using rezzed at the time. Shift-copy the designer ring with the route to copy it. Rez a mover for each copy and GET NOTECARD for each. 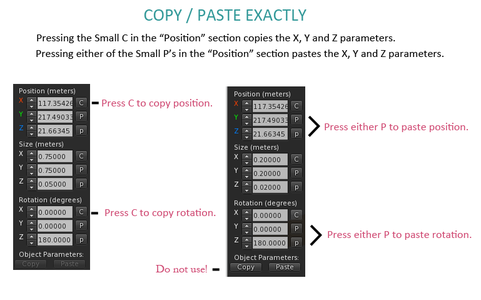 Every one of the copies has a different start position and you need that info so they go back to the correct place. 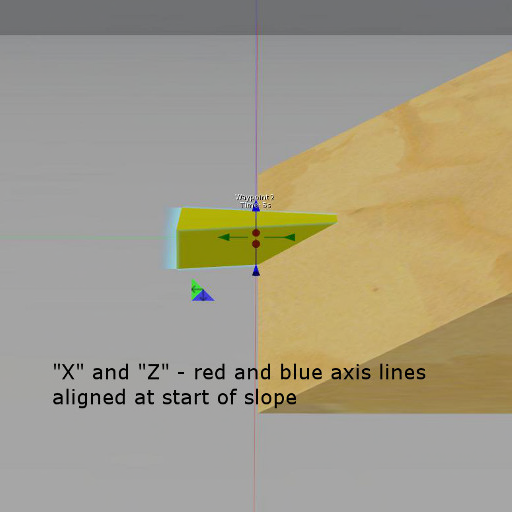 To ensure that the Mover is the root object when you link objects, make sure that when shift+selecting the objects to link that the Mover is the very last object selected. 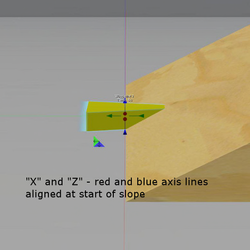 After linking, to visually check, select the linkset and the Mover should appear with a yellow highlight while the other prims should appear with a blue highlight when selected to edit. 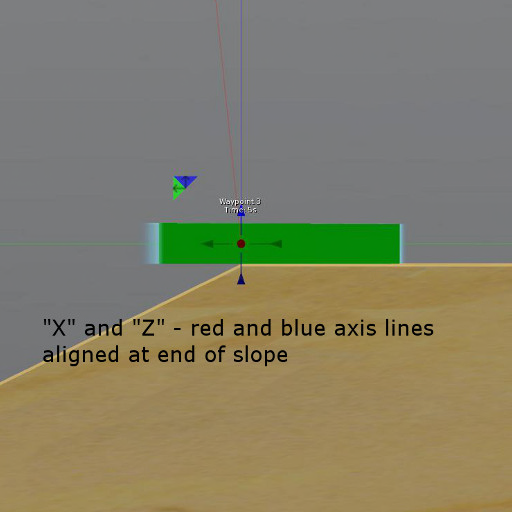 If you attempt this with some of the more complex poseball systems such as Xpose or MLP type solutions you may find unexpected results due to the way they rez poseballs that are not linked to their respective objects. It is suggested that you stick to using the standard simple llSitTarget scripts.